As night falls on a forbidding desert track, a little girl sits by a bullet-riddled bus, too frightened to cry. The violated body of her mother lies a few yards away. Her father, the bus driver, sits slumped over the wheel; his blood has mingled with that of 12 dead passengers. She can't see her older brother. In a few hours, an army patrol stumbles onto the scene of what the morning newspapers will call The Massacre at Scorpions Pass. In Israel, in 1954, a five-year-old girl who had witnessed her family and nine others shot or bludgeoned to death was offered sympathy, but little else. Her closest relatives placed her in a kibbutz commune while swindling her out of a modest inheritance. And this was just the start of her troubles. Miri's life journey is a study in the power of tenacity, boundless optimism, and survival. Through an abusive marriage, separation from her children, three careers, and an entanglement with organized crime, she picks herself up time after time. In the final chapters, Miri makes her peace with the desert, comes to terms with survivor's guilt, and is reconciled with her children. The key moment in this turn-around happens far from Israel when she helps her second husband fulfill his dream of crossing the ocean in a small boat. 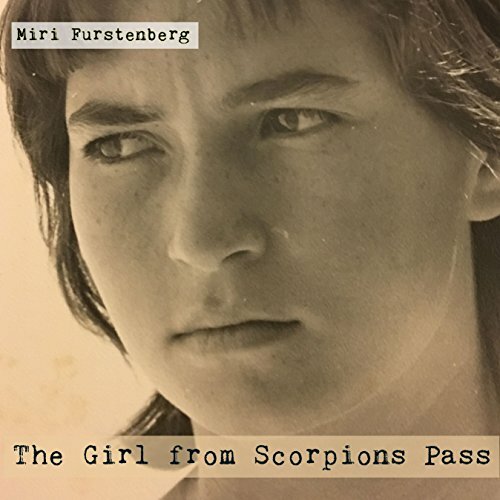 Miri and the State of Israel were both born in 1948, and her story is laced together with evocative scenes from the country's own biography. From Tel Aviv in the austere 1950s, to the relative comfort of a kibbutz, helping unearth Masada, and serving in uniform during the Six Day War, the author's vivid memories and stark honesty about herself make compelling listening. Today, Miri lives in Netanya, is a proud grandmother, and is a regular speaker on the topics of terror, it's victims, and survivor's guilt.